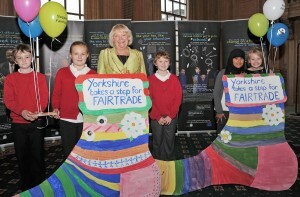 Children from 14 schools across Leeds gathered together at the Civic Hall to celebrate their fair trade work and pledge their support for Fairtrade Yorkshire. The Fair trade School Celebration was opened by the Lord Mayor Cllr Ann Castle and attended by visiting teachers from Germany, Austria and Leeds’ partner city Brno in the Czech Republic. The event was organised to help schools share good ideas about teaching and learning about fair trade issues and celebrate their achievements. 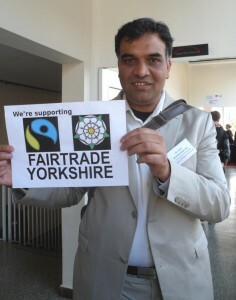 Activities included presentations from schools, animation workshops and Fairtrade Yorkshire rosette making. Schools that attended were Adel Primary, Ireland Wood, Otley All Saints, Bankside Primary, St Marys Menston, Wykebeck Primary School, Southroyd Primary, St. Chad’s Primary School, Prince Henry’s Grammar School, Allerton C of E Primary, NWSILC, Harehills Primary. 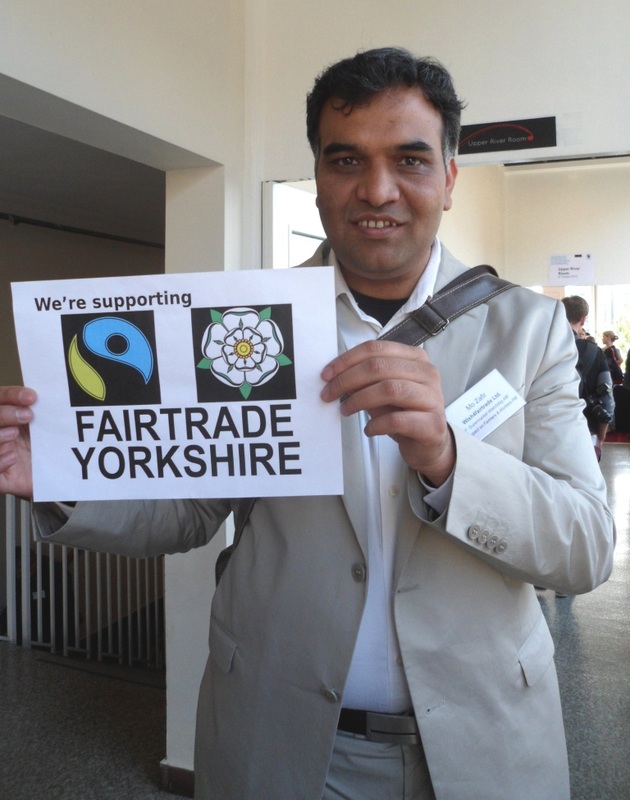 Mo Zafir of Fairtrade wholesalers, Premcrest, who are pleased to give their backing to the campaign for Yorkshire to be the UK’s first Fairtrade region. Premcrest supply across the UK from their base in Bradford. 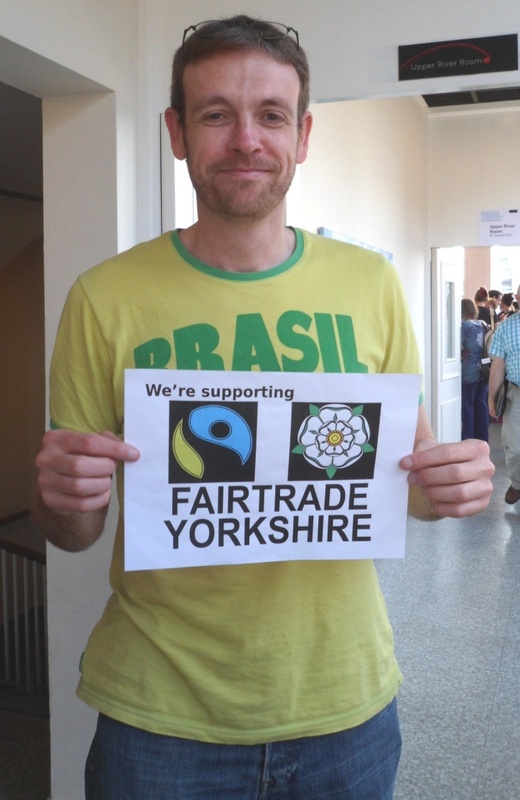 The University of Hull has a new Fairtrade Steering Group. Chris King from the group is keen to support the campaign for Fairtrade Yorkshire.